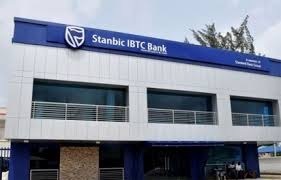 Stanbic IBTC Bank Plc, a member of Stanbic IBTC Holdings Plc, has reassured parents and guardians, as of its readiness to help minimize the financial burden of paying their children/wards fees as well as maximize a stress free payment process through its e-solution offering. Other benefits of the school fees loans, according to Adeniyi, include low interest rates, access to a revolving line of credit, flexible repayment terms, and the opportunity to access credit up to 100 per cent of the customer’s income. With schools resuming for a new term, the school fees loans will help to alleviate the financial burden parents and guardians may face in paying school fees. Stanbic IBTC Bank Plc is a subsidiary of Stanbic IBTC Holdings Plc, a full service financial services group with a clear focus on three main business pillars – Corporate and Investment Banking, Personal and Business Banking and Wealth Management. Standard Bank Group, to which Stanbic IBTC Holdings belongs, is the largest African Bank by assets and market capitalization. It is rooted in Africa with strategic representation in 20 countries on the African continent, including South Africa. Standard Bank has been in operation for over 155 years and is focused on building first-class, on-the-ground financial services institution in chosen countries in Africa and connecting selected emerging markets to Africa by applying sector expertise, particularly in natural resources, power and infrastructure.